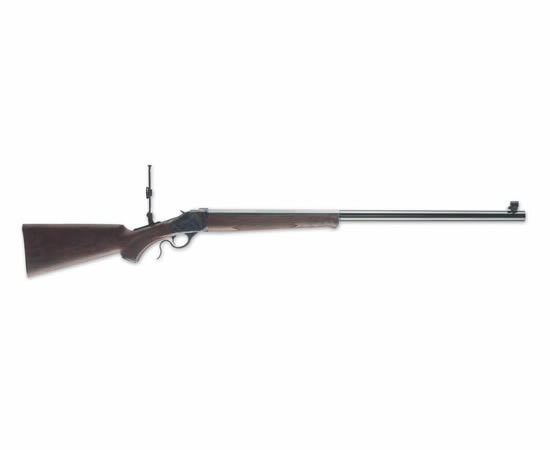 The Winchester 1885 Black Powder Cartridge is available with a Grade III/IV walnut oil finish Creedmore style stock along with a Schnabel forearm. It comes as standard with 1/4 MOA windage adjustment and 1/2 MOA elevation adjustments with 1/2" total elevation adjustment. The soule windage style Creedmor rear sight is precision machined from steel. The gun folds down when not in use for easy storage and cleaning purposes. Rate "1885 Black Powder Cartidge Rifle"